Is this YOU? 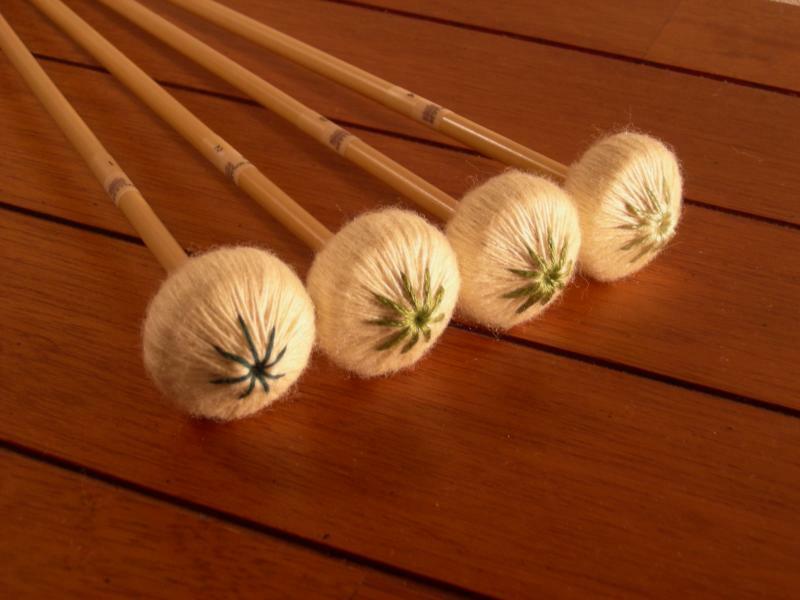 Refresh your old mallets and give them a new life. Contact us for an estimate. We accept credit cards as well as school purchase orders (PO's). 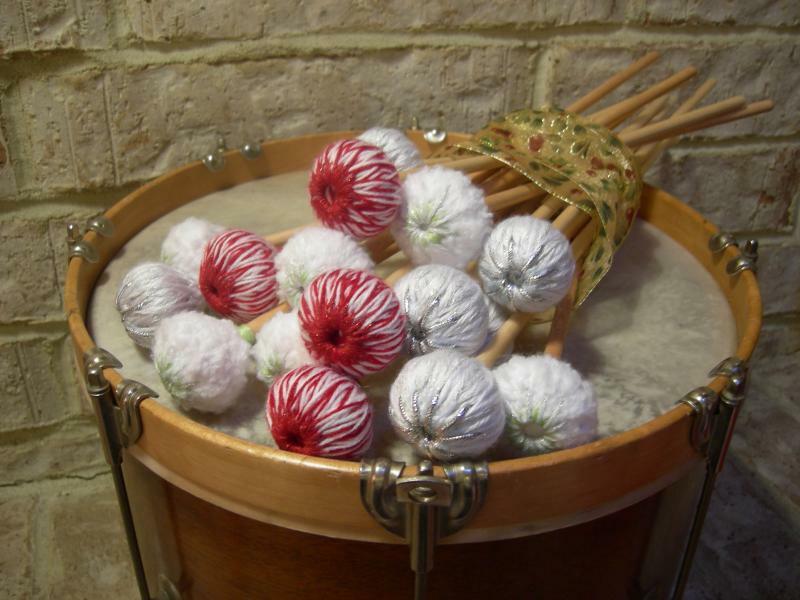 Cartwheel or parachute timpani rewrap styles with 'German' or 'American' felt are available. Cost is $16-22 per pair, depending on materials and labor. 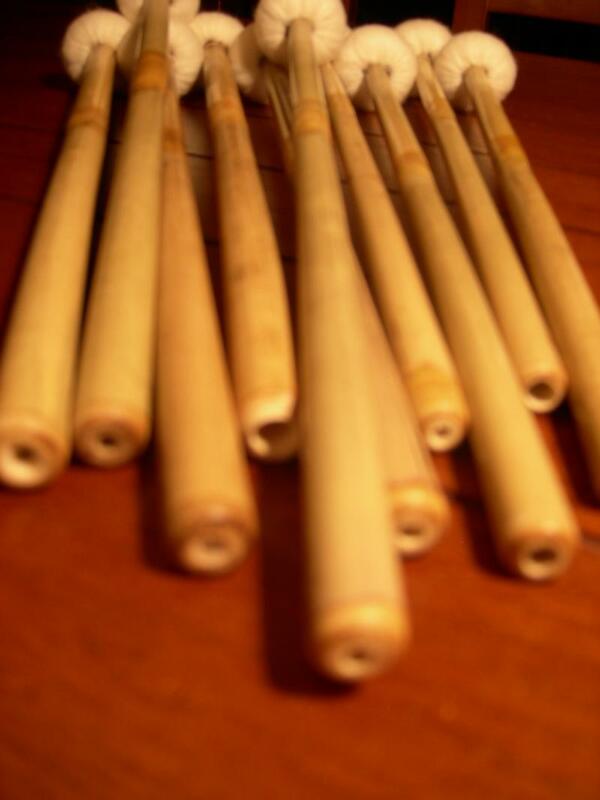 Marimba and vibraphone precision rewraps by machine are $18 per pair or $24 per pair by hand. A range of colors are available as well as a choice of wool/nylon blends or wool/silk or bamboo fibers. 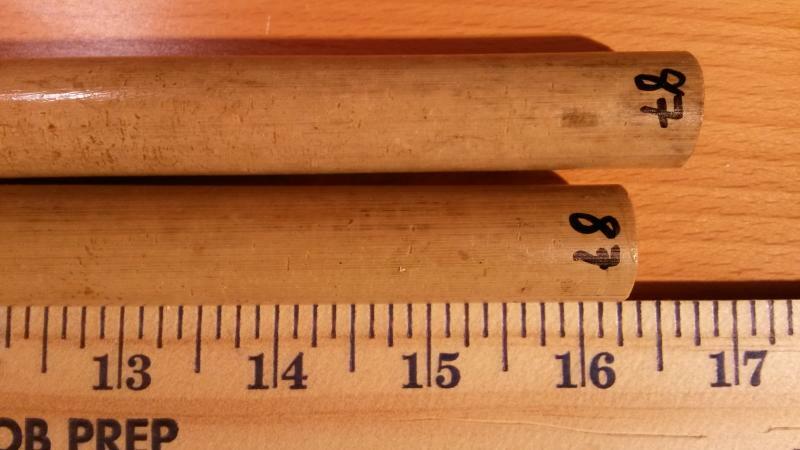 For a DIY timpani rewrap, order an APM rewrap kit from Steve Weiss Music. All APM models have a rewrap kit available. 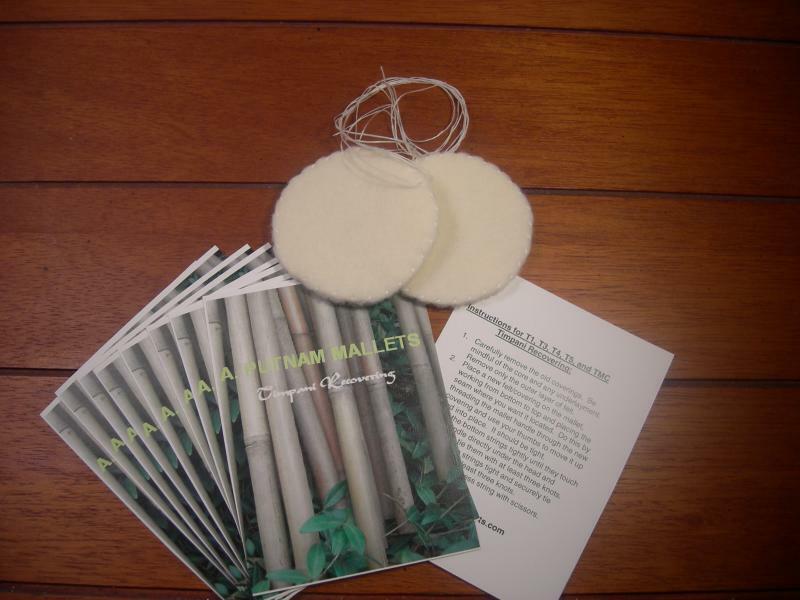 For a 'no-sew' approach and less cost, follow the included instructions and tips for restoring your own mallets.